The 2017 G.I. Joe Collector’s Club membership incentive Rock n Roll figure has been revealed! 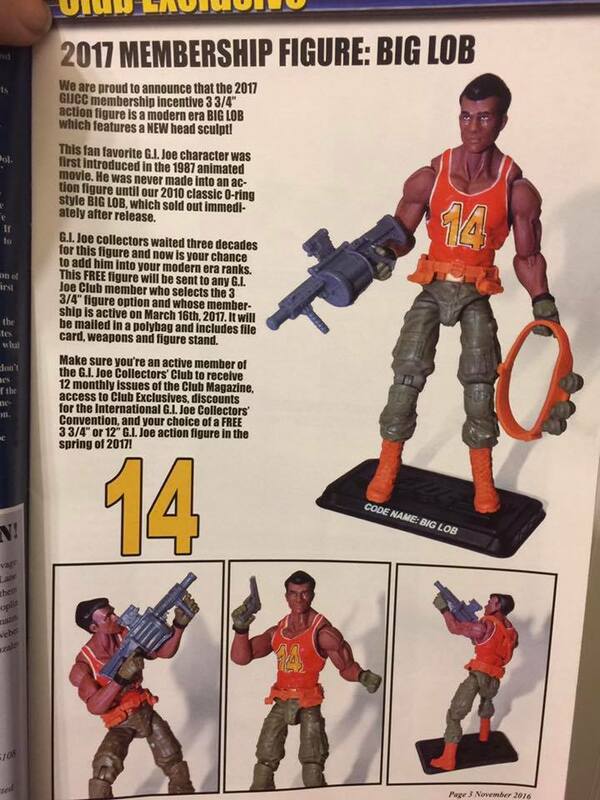 So, there is it is… our first look at the long await Rock n Roll membership incentive figure that was accounted at Joe Con 2017’s Club Roundtable. In some ways he almost exactly what this Joe fan expected. Big Lob is the 2017 Collector’s Club Incentive figure! The cover of the latest issue of the G.I. 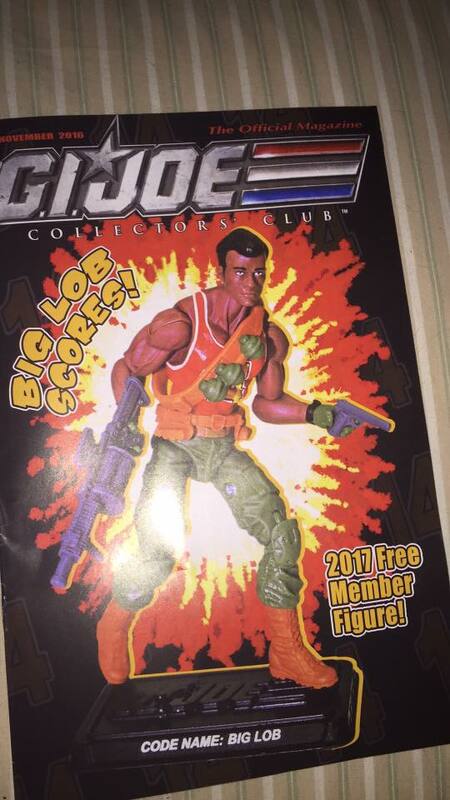 Joe Collector’s Club magazine has revealed the next membership incentive figure: BIG LOB! I’ll admit it– I’m both surprised and pleased by this! Who’d have imagined Big Lob as this next year’s figure? 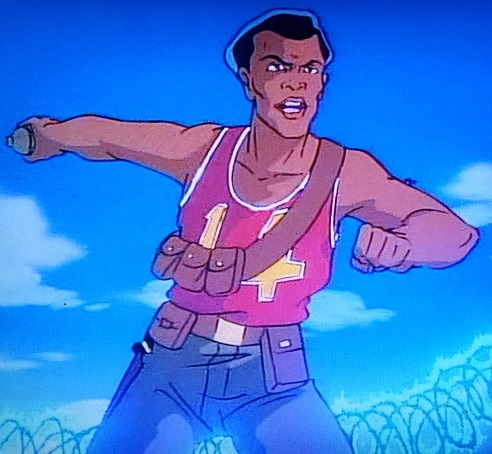 For those of you who don’t remember, Big Lob was one of the Rawhides, a group of new recruits introduced in the Sunbow-produced 1987 film G.I. Joe: The Movie. 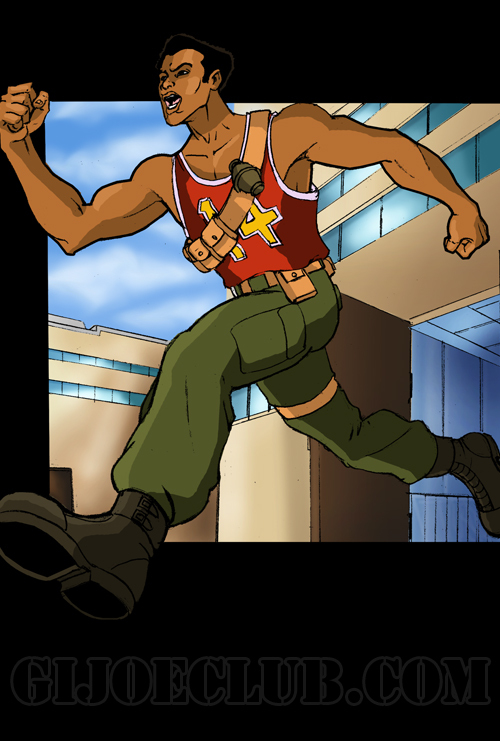 Along with Jinx, Tunnel Rat, Chuckles, and Law & Order, Big Lob was part of the next generation of Joes who were put through their paces and evaluated by Beach Head. 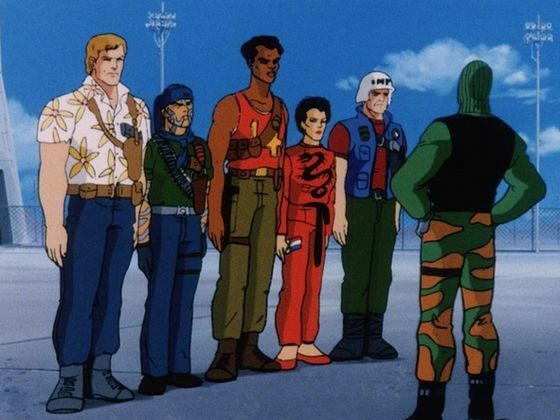 (Spoiler alert: they all passed– much to Beach Head’s chagrin!) 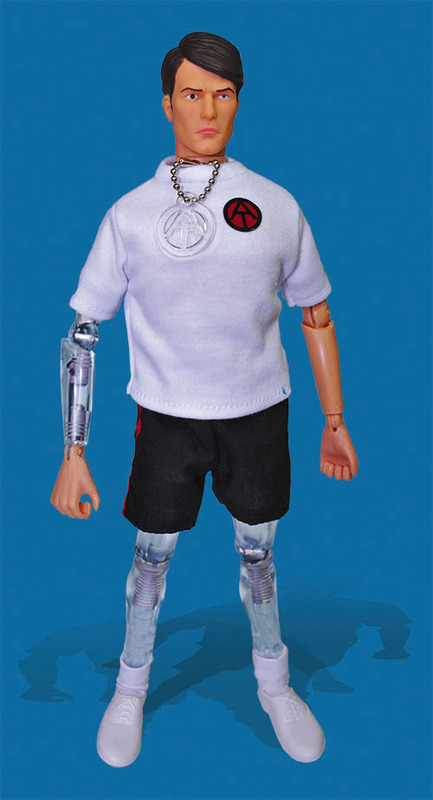 Despite this introduction, Big Lob never saw release as an action figure until 2010 when the G.I. Joe Collector’s Club released an o-ring version as the annual membership incentive figure. As always, to receive your Big Lob figure you’ll have to be a member in good standing of the G.I. Joe Collector’s Club by March 2016. To learn more about the G.I. Joe Collector’s Club and to ensure your chance to own this sports-themed Joe, visit GIJoeClub.com! 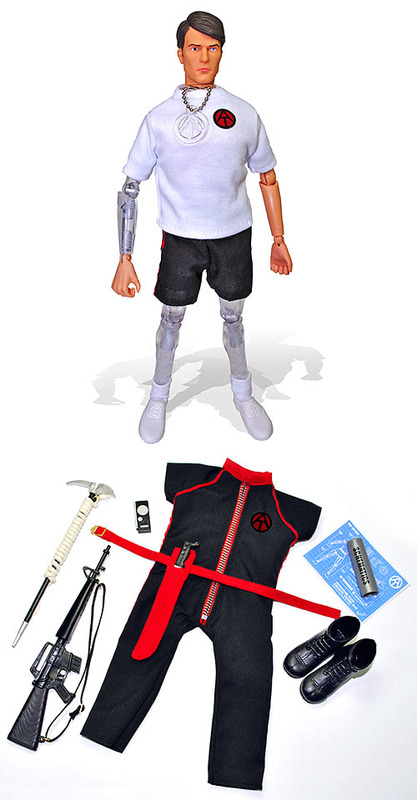 The Carded Pythona figures and the Mike Power – Atomic Man 1:16 renewal figures are now available at the G.I. Joe Collector’s Club store! The G.I. Joe Collector’s Club really hit one out of the park this year with the Pythona membership renewal figure and attendees of Joe Con 2016 were fortunate enough to have the opportunity to by special carded versions while at the event in Loveland, CO a few weeks ago. Now, members who weren’t able to make the trek to Colorado also have the opportunity to snag a carded Pythona of their very own! I won’t sugar coat it– I love this figure. (As you can tell from the review we posted about three weeks ago.) She’s absolutely worth owning – both as a modern construction figure and as piece of G.I. Joe: A Real American Hero history. 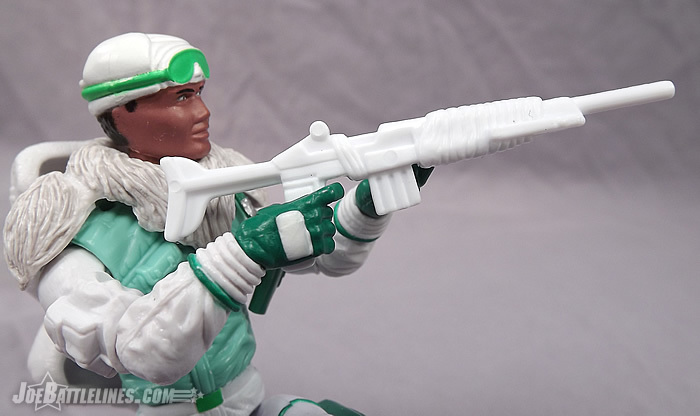 Considering that this is the first-ever figure of the Cobra-La Emissary/Assassin, this figure probably won’t stick around forever. However, the Club isn’t just catering to the 1:18 crowd. The latest additions to the Club store also include two options for acquiring the KILLER 1:6 updated Mike Power action figure! 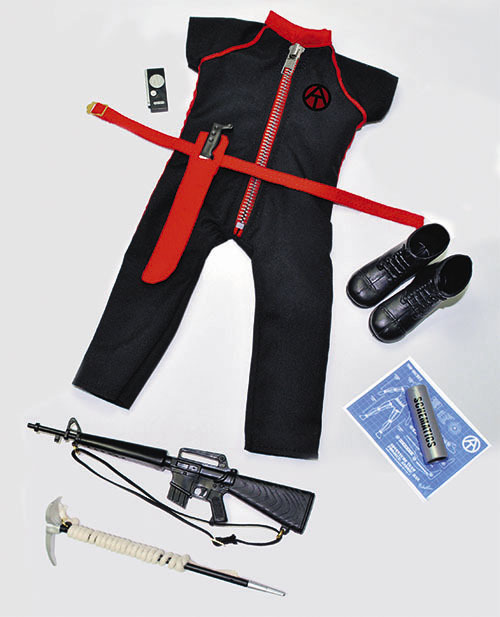 The Atomic Man and his accessory set can be purchased individually or bundled together at a moderate savings. If you’re going shopping, here are some handy direct links. (Good for you, bad for your wallet.) Each item is limited to one per membership. Check out these and more exclusive items (Dr. Isotope anyone?) over at the G.I. Joe Collector’s Club store! The G.I. Joe Collector’s Club Pythona review is live! Seriously, I can scarely believe that I’m typing the words “Pythona review.” Since her debut in G.I. Joe: The Movie nearly 30 years ago, this deadly emissary/assassin from the mysterious kindgom of Cobra-La has been on the top of G.I. Joe fans’ wishlists. Thanks to the folks at the G.I. Joe Collector’s Club, this long sought-after femme fatale is finally making her way into the displays of Joe fans everywhere as the 2016 membership renewal figure. Was she worth the wait? Did the Club deliver the good this time around? Does Deadpool make yet another gratuitous cameo? Do Fred and Chris finally completely agree on a figure? Will I ever stop asking questions and get to the Pythona review? For the answers to these questions, head on over the G.I. Joe Collector’s Club Review Index and check out the long-await Pythona review! G.I. Joe Collector’s Club unveils Pythona! Today is the last day to sign up for a 2016 membership to the G.I. Joe Collector’s Club and the folks at Cattle Barron Drive have pulled out all of the stops in encouraging people to sign up by showing off a prototype for Pythona! Not a digital mock-up. Not a render but a painted sample of Pythona! Reminder: No new G.I. Joe Collector’s Club Memberships after 3/16/16. Tis the season for news regarding the G.I. Joe Collector’s Club, it would seem. A message posted earlier today on Facebook seems to add further credence to the rumors that Fun Publications is indeed closing out their tenure as the administrator of the G.I. Joe Collector’s Club. In the statement, the Club states that no new memberships will be accepted after March 16, 2016. If you’d like to receive the free membership incentive Pythona figure (and we know that you do), you have to have an active membership before 3/16/2016! Changes to G.I. Joe Collector’s Club Memberships in 2016? Are changes coming to G.I. Joe Collector’s Club Memberships beyond 2016? It was reported earlier today over at Allspark.com that there are changes coming to Transformers Collector’s Club memberships in 2016. To be more specific, regardless of when a member enrolls, all memberships will expire on December 31, 2016. This has also led to speculation on their forums about the future of the annual BotCon convention which is currently managed by Fun Publications. Please note that at this time we are only accepting memberships and renewals for the 2016 calendar year. All memberships will end with the December 2016 issue. For example: if your membership renewal has a February start date, you will receive the FREE membership figure in the late spring along with 11 monthly issues. If your membership renewal has a March start date, you will receive the FREE membership figure in the late spring and 10 monthly issues. Really? So, no matter when someone enrolls in 2016, their membership ends in December. Which means that the cost of a membership is the same, regardless of the number of issues of the newsletter received. So, what does this actually mean? Is the Club transitioning their memberships to a calendar year model? Or, does this mean that Fun Publications will no longer be the entity behind the G.I. Joe Collector’s Club going forward? Or, is it merely verbiage that was ported over from the Transformers side of the organization by accident. We’ve reached out to Fun Publications and we’ll let you know what we find out going forward. Right now there’s no OFFICIAL word as to what the future will hold for the G.I. Joe Collector’s Club and the annual memberships. We can only wait and see what information, if any, the Club chooses to disseminate in the coming weeks. EDIT: We reached out to directly to Brian Savage at the GIJCC who was good enough to send us back a prompt response. All I can tell you is exactly what you read online. There is no additional information at this time. So for now, this is all we know but I’m sure the coming weeks and months will reveal more information. One of the perks of attending the G.I. Joe Collector’s Club annual conventions is being able to purchase carded versions of the annual membership renewal figures. However, the GIJCC has stepped up their game a bit this year and is currently accepting pre-orders for carded version of the 2014 membership incentive figure Cross Country for $30.00! The pre-orders are limited to one per membership and are slated to ship in April 2014. If you’re a carded collector, this is a great opportunity to snag this exclusive figure. Just use the link below and get yours today. There’s nothing like a cold front to put a Joe fan in the mood for an arctic trooper! Case in point: my G.I. Joe Collector’s Club Iceberg Renewal Incentive figure arrived last year on the hottest day of the year thus far. It was June and the mercury was about to escape from the thermometer– so I wasn’t really thinking that it was an idea time to review poor ole Iceberg. Flash forward a few months and it’s freezing outside! In other words– it’s PERFECT weather for an Iceberg review! Was this figure worth the cost of renewing my membership in the G.I. Joe Collector’s Club for an additional year? DOes Iceberg turn into a killer whale when dipped in water? Check out the review in the Collector’s Club Review Index and find out one Joe fan’s opinion!